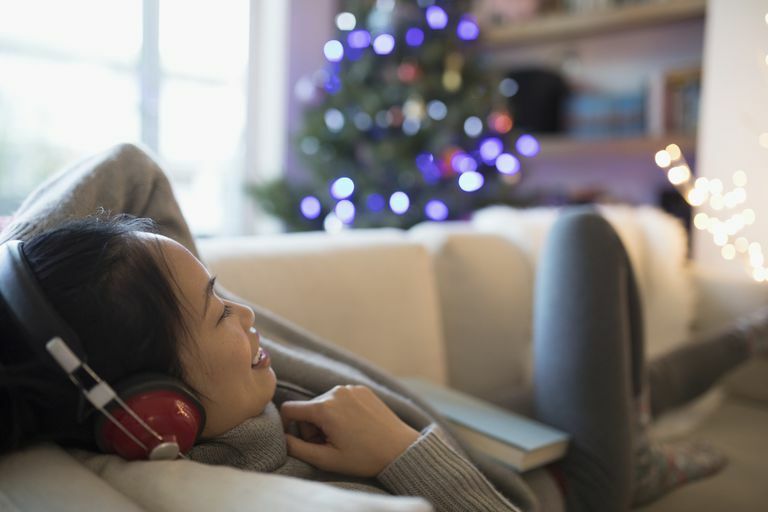 To brighten your holiday season, you need to look no further than this collection of 10 websites that offer a great selection of Christmas music to stream or download. Whether vocal or instrumental, traditional or modern, these free holiday songs and albums give you all the music you'll need to celebrate the season. The collection of Christmas music at ChristmasGifts.com is freely distributable under the Creative Commons License. The site offers a mix of MP3 and midi files that can be downloaded from this website. In addition to popular seasonal favorites, ChristmasGifts.com has orchestral music and piano music for the season. As a bonus, you can download an e-book that contains Christmas carols to sing for all you die-hards. Just print out the song sheets, and you're ready to go. The folks over at FeelsLikeChristmas.com celebrate the season year-round, and it shows. On the website, you'll find traditional and contemporary music in an MP3 format. There are four main categories you can choose: contemporary instrumental, contemporary vocal, traditional instrumental, and traditional vocal. Choose a category, click on the title of a song to open a player in your browser. From there you can listen or download the music. There's also an archive for previous years and other useful stuff for the holidays such as Christmas story audiobooks and various festive sounds to download. If you're looking for a wide range of songs that cover many genres, then Amazon's free Christmas music list is worth a look. There is plenty of holiday music to choose from, and it can all be downloaded at no charge — all you need is an Amazon Prime account. If you don't have one, Amazon offers a free 30-day trial. These freebies are in the MP3 format, so you'll be able to transfer them to portable devices such as smartphones, tablets, MP3 players, and flash media, or burn them to CD or DVD if you prefer. If you like nonstop music, then DJ Riko has the perfect mix of Christmas tracks for you. Each year, the site generates a new mix for the holiday season, with the previous season's mixes still available. It's a tradition that dates back to 2002 with all compilations having a varied selection of different genres and eras. If you like mashups, then DJ Riko's website has a large collection of mixes that will keep you entertained for hours. For the traditional music lover, the Garritan Community Christmas Album — now in its 11th volume — is a great, free download. You can download the music as either MP3 or WAV files. You can choose to download single tracks or the complete album in one go. If you prefer, you can stream the music. The CD art is provided on the website ready to download and print out. Spotify has overtaken many streaming music sites because it's so easy to customize playlists to your needs. With a free account, you can search for Christmas (or any other holiday) music, set your preferred stations, and start streaming free holiday music right away. You can even listen offline to holiday tunes through Spotify Premium, which permits you to download music for a monthly fee. The Free Christmas MP3 site is filled with public domain carols and holiday music. Just click on one of the songs to open a page where you can listen online or download for later listening. Piano instrumentals are available along with classic and jazzed-up traditional carols. Uncle Dave's Xmas Tunes is a lively Christmas music site that's been around for more than 20 years. Click any song to listen to it online or to open it in its own window for streaming or downloading. Although all the songs are in the public domain, the arrangements are copyrighted as derivative works by Dave. He's happy for you to use them at no charge on your website or YouTube channel as long as you provide a link back to the source. NuBeat Music offers entire holiday albums filled with festive music. Just click an album cover to open a screen that contains each song, which you can play on-the-spot while you read the download instructions and the lyrics for the vocals. This multinational Christian music site has thousands of songs in varied genres and seven languages for free download. The NoiseTrade site offers two full screens of album covers, all dedicated to Christmas and holiday music. All the music is free if you enter your email address. You can preview the songs before you download. There is truly something for everyone in this large collection. NoiseTrade offers thousands of albums in all genres — not just Christmas and holiday — from artists who, as the site says, "would love to meet you."